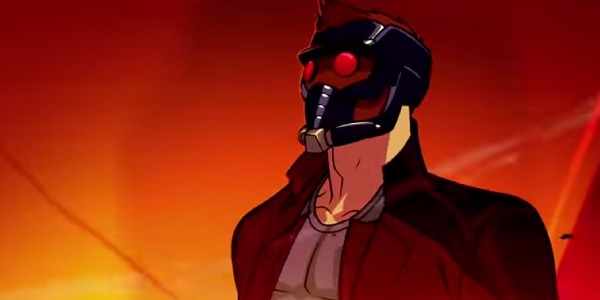 Now that the upcoming Guardians of the Galaxy animated series is full steam ahead with its casting process, we couldn’t be more excited about it. Taking over vocal duties for the group’s only human character Star-Lord is former Boy Meets World star and current voice actor Will Friedle, who also happens to be a human. Remember the comic where Star-Lord moved in with Joey Lawrence’s little brother? Disney XD announced the news earlier today in much the same way that the Groot and Rocket Raccoon castings were revealed, and you can see Friedle sharing the news himself in the video below. Unfortunately, he doesn’t do a “Star-Lord voice” or anything. Friedle is the third person cast for Guardians of the Galaxy, joining Kevin Michael Richardson as Groot and Trevor Devall as Rocket. Considering Star-Lord is the only normal person involved here, maybe Peter Quill will sound just like Eric Matthews. It’s not like Chris Pratt went out of his way to be anything but Chris Pratt for the movie. (Not that he needed to or anything.) Here’s what we can expect the space-faring hero to look like, as seen in the test footage first shown when the series was announced. Unlike his co-stars, Friedle is the Guardian who hasn’t previously voiced the character he’ll be playing, but that doesn’t mean he’s a stranger to superhero voice work. He was Terry McGinnis’ version of Batman for Batman Beyond and a few of its tie-ins. He also voiced Blue Beetle, who was a co-hero for the Dark Knight in Batman: The Brave and the Bold, as well as Deadpool for an episode of Ultimate Spider-Man, Prince Ragnar for Green Lantern: The Animated Series, and Green Arrow for a series of shorts last year. He can currently be heard as Bumblebee on Transformers: Robots in Disguise. Friedle will also be seen later this year on Disney Channel proper when he stops by Girl Meets World to reprise his role as Cory’s older brother. I wonder if he’ll have some stories about murdering Kree aliens. We still have no specific idea of when Guardians of the Galaxy will be showing up on Disney XD, but it’ll definitely be later this year.